You already know you need to cover your swimming pool in the winter. What about in the summer? In a word evaporation. Yes, swimming pool covers significantly reduce heat loss from evaporation, the major source of heat loss from your swimming pool. Covering your swimming pool when it is not in use will save energy, reducing your swimming pool heating costs. 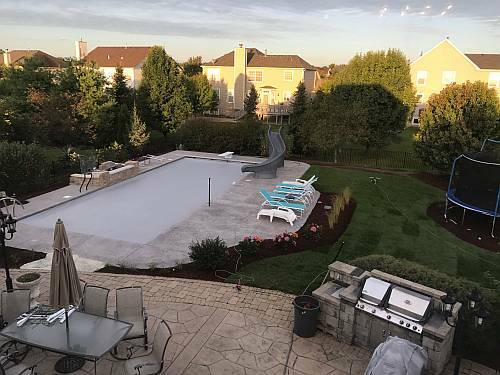 In the fall your pool is covered once and remains covered until your scheduled spring opening. 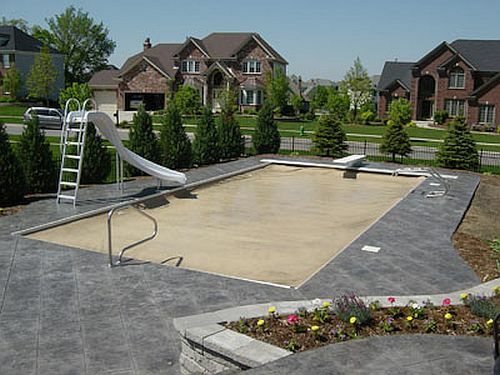 During swimming season the winter style pool covers are just too inconvenient for daily use. There are other options available. 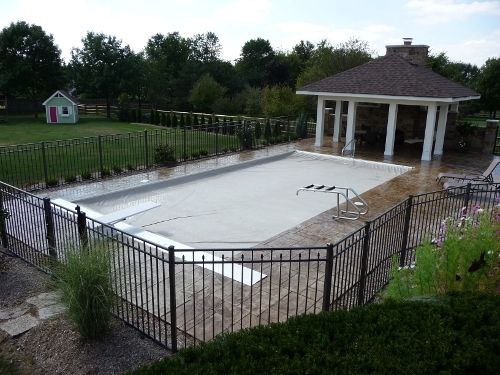 For convenience, it is hard to beat an automatic pool cover. Electric swimming pool covers provide energy savings, protection from debris and safety at the click of a switch. Perhaps you are wondering if you can add an automatic pool cover to your existing in ground swimming pool. The answer is yes. You can enjoy the convenience of an electric pool cover. 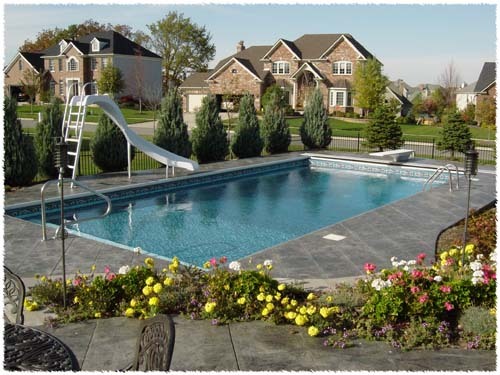 Call Swim Shack Inc. (630) 466-4853 to find out how to upgrade your swimming pool. An automatic swimming pool cover from Swim Shack Inc. will pay divividens for years to come. Choose from 9 standard swimming pool cover colors.